File it away under “Sedinery”. 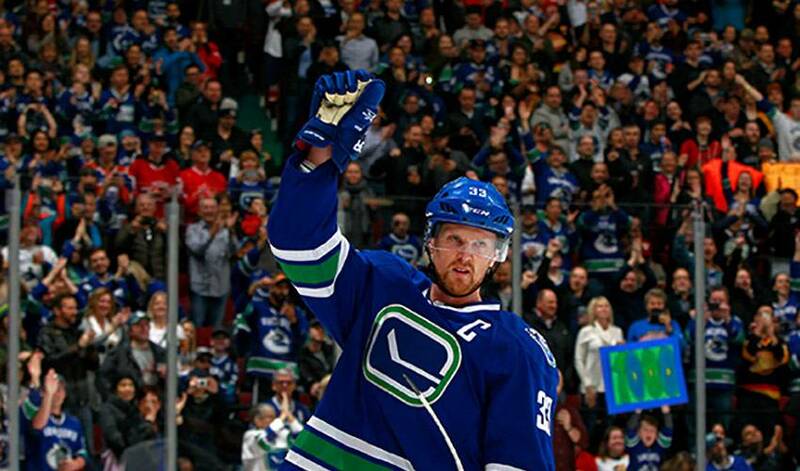 Henrik Sedin officially reached the 1,000 NHL career-point milestone on Friday – doing so in front of a home crowd with a goal against the Florida Panthers, with none other than longtime, former teammate Roberto Luongo in the opposing net. Sedin became the 85th player in league history to reach the mark, and he has the distinction of becoming the first Canuck to accomplish the feat. Since being drafted in the 1999 NHL Entry Draft alongside his twin brother Daniel, Henrik has amassed 233 goals and 767 assists over the course of 1,213 games played. Henrik was also the first player in Canucks franchise to win the Art Ross Trophy as the NHL’s leading scorer in 2010 with 112 points (29-83—112). Those 112 points stand as a franchise record for most points scored in a single season by a Canuck to this day. That same season, Henrik doubled down on hardware taking home the 2010 Hart Memorial Winner for being judged most valuable to his team. On opening day of the following season (2010-11), Henrik was named the 13th captain of the Vancouver Canucks. Over the course of his 16-season NHL career, Henrik has proved his durability in the league by missing a mere 30 games, and now ranks fourth in all-time point-getters among Swedish-born NHL players, behind Mats Sundin (1,349), Daniel Alfredsson (1,157), and Nicklas Lidström (1,142). A valuable teammate and leader on the ice, Henrik also took home the Clancy Memorial trophy last season for best exemplifying leadership qualities both on and off the ice. He and his brother Daniel have both endeared themselves to the community of Vancouver away from the rink through their charitable efforts run through the Sedin Family Foundation. For more information about the foundation, click here. Vancouver Canucks Daniel Sedin (black) and Henrik Sedin (white) sit in the dressing room amongst Vancouver Thunderbirds AAA Hockey players after a team practice at Hillcrest Arena December 13, 2012 in Vancouver, British Columbia, Canada. The Sedin twins joined the Thunderbirds for their practice as an NHLPA goodwill gesture.